Any international man of mystery should have a few tricks up his sleeve – or, in this case, on his sleeve. 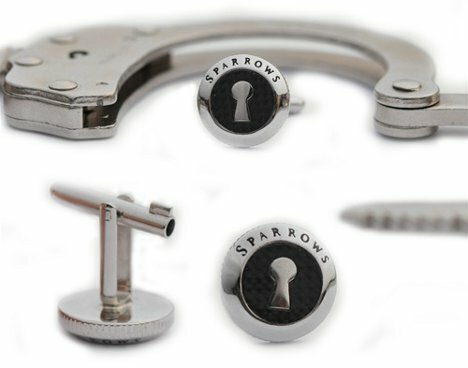 The Uncuff Links from Sparrows are designed to look and work just like a regular pair of cufflinks, but they are hiding a rather surprising function inside: a secret handcuff key. Obviously, the manufacturer does not recommend using the secret key in the case of your arrest, since that could get you into some serious legal trouble. But for anyone who finds themselves too often in non-police handcuffs with no key, the Uncuff Links could be a lifesaver. See more in Home & Personal or under Gadgets. November, 2012.